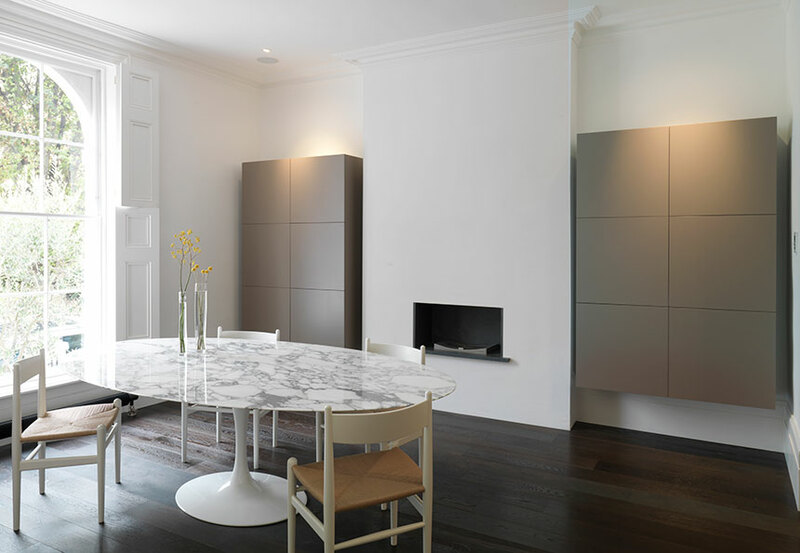 Alison and John wanted an uncluttered kitchen with an island unit for their beautiful listed Georgian home. 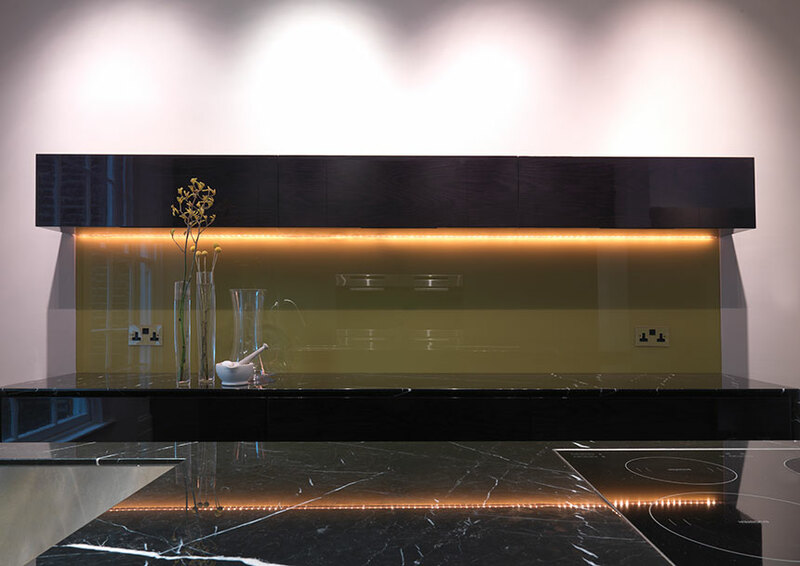 The challenges of this design included working around a chimney breast behind the full height cupboards, a full height window, door to the corridor and a double opening to the dinning area. 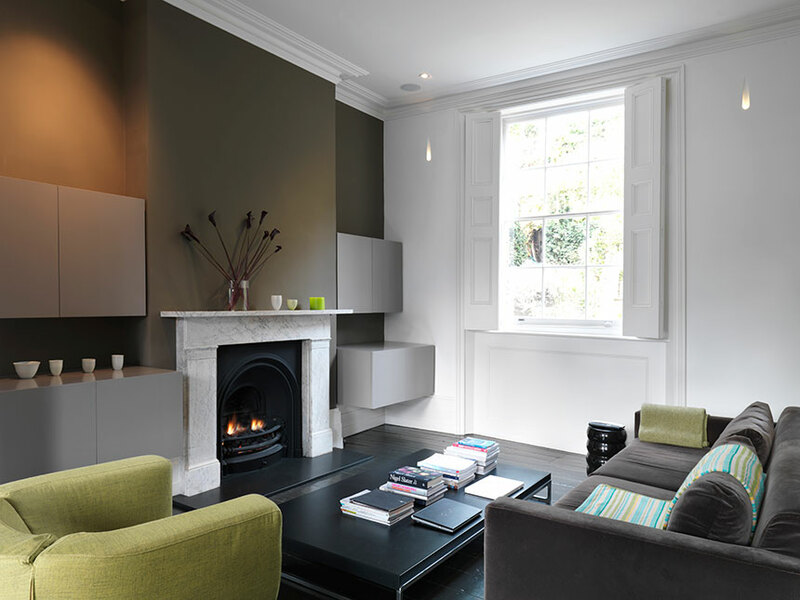 The tall grey/brown cupboards are a combination of shallow and full depth built around this chimney breast, utilizing the fireplace opening for the two ovens. 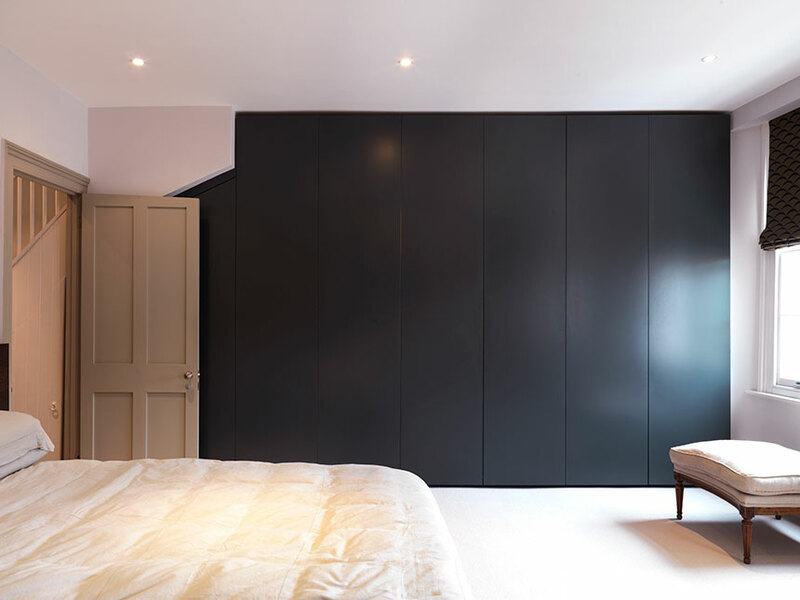 The washing machine and fridge are housed in the alcove section of this wall with the height of the cupboards kept low enough to maintain the view of the traditional cornicing. 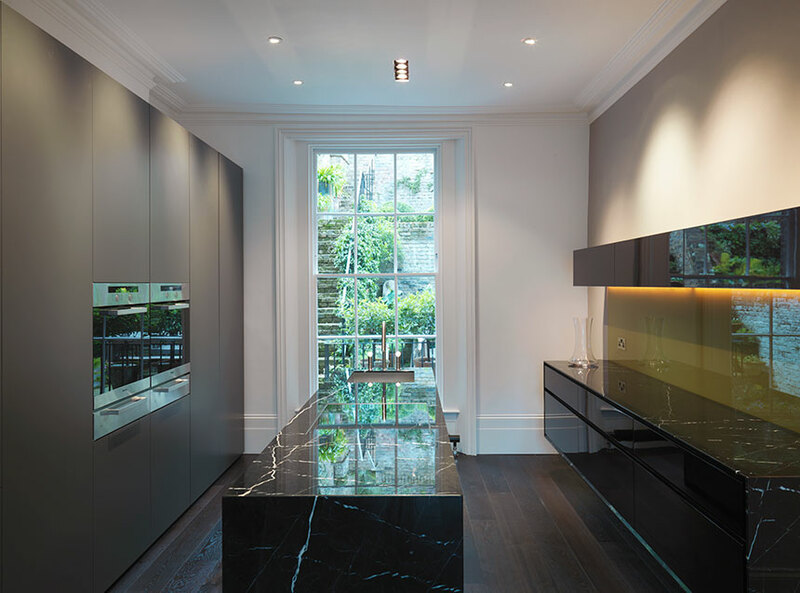 Nero Marquina marble was used for the island and floating wall unit, with a high gloss black oak for the cabinets.